ingenious, but how is it practical? 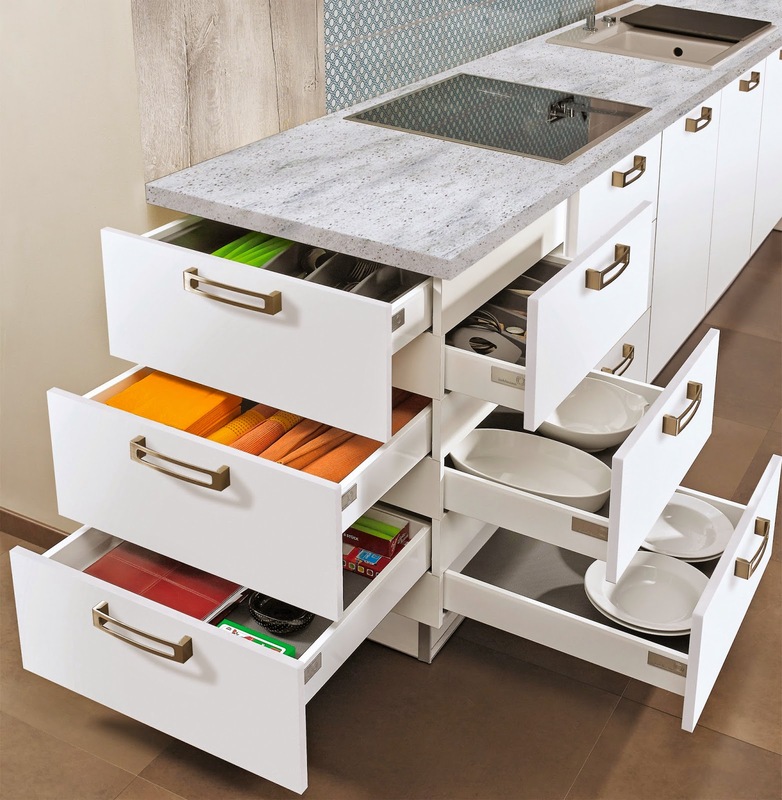 you could say it would be less expensive to have 1/2 the number of drawers, but each with double the depth. but I think that is true, but there are certainly practical advantages to this arrangement. For example, deep drawers tend to promote stuff piled up on more stuff, and who likes trying to drag out a cheese grater, only to have a knife make its way from the drawer to your toe? Also, kitchens are full of people doing stuff, and who likes being interrupted in the middle of whipping up white chocolate mousse because the cheese grater someone else needs is in the drawer where you're working away? But aside from practicality, the design is spatially playful.